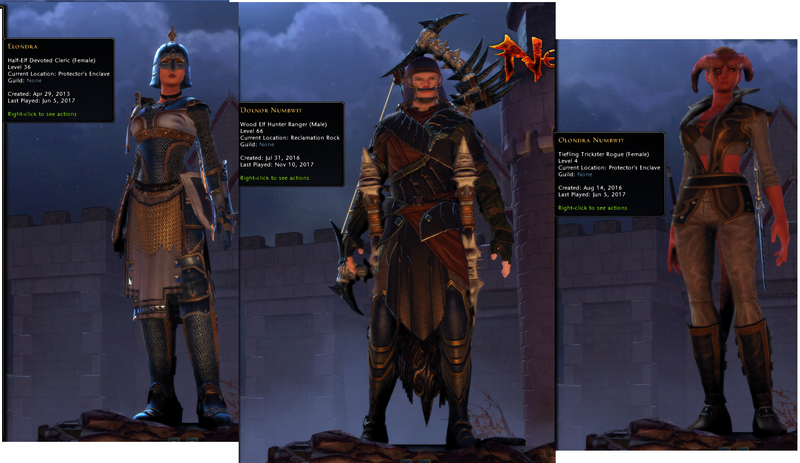 After 4 years away from the game, I decided to waste free time dungeon crawling. Since it has been so long, I'm no longer in the guild. It doesn't look like the guild is active, either, but if there is a member out there that still has a toon that could invoke upon me some guildiness, I would greatly appreciated. We're trying to contact the Gm of the Guild. If you have any luck, let me know as I just picked up the game. We could always create a temporary guild while waiting. I vote Tarma as the new Guild Leader once everything gets squared away. Catch me in Discord or in game and we will make this happen. I should have an account online this weekend hoping to get enough online to form a temporary guild. You should be able to find me in the discord channels - Any Other Game section , and in game in Protectors Enclave... looking down on Sgt Knox. New guild created as temp guild until I can get the old one back. Post up here your character@name and one of us will invite you to the guild. Getting the band back together! Woot. I see that the temporary guild name has been changed. Any work yet on getting the original guild back under control? I've been putting a little effort into the current Stronghold just because I want to see it change. Since no one else is online at the same time as me, it's hard to chat about what guild activities are recruiting we should be doing. Let me know what direction I should take to keep the momentum going. I can help bolster the membership if you need. I'm currently updating my Neverwinter but it is 4gb in size so it'll take most of the night to download. Once it is done, I'll log in and post an image here of my characters and account name. I'm getting used to how the Guild area works. Found and put some things in our "pet mimic", picked up some guild quests, etc. Question: Fought some mobs around our building, usually near stacked crates. And some out-buildings were glowing blue?